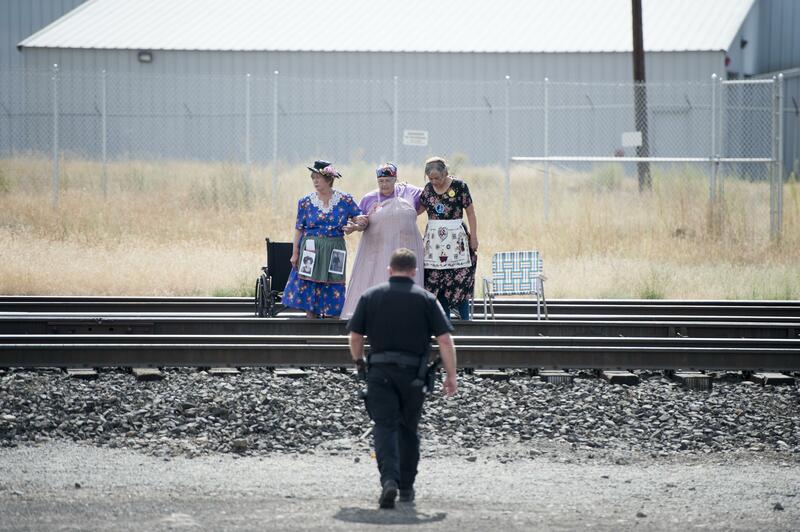 Activists from Spokane Washington protesting the bomb trains! ​These women are our heroes! thank you!